and the power cable connected at the back. Computer Power Supply Unit or called as PSU is task to supply voltage from wall outlet standard electrical voltage called Alternating Current, example 220 AC here in the Philippines. 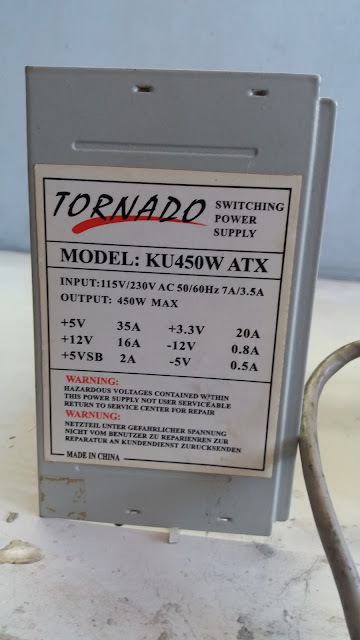 And convert to low level voltages called direct current voltages or DCV, Commonly rated as +12, –12, +5, –5, 3.3 DCV standard use to function the computer system. The important here is, if the system unit of the CPU is not functioning or there are no power indicated using the front panel light indicator. All you need is to check the power input like checking the power supply cable connected to the AVR. 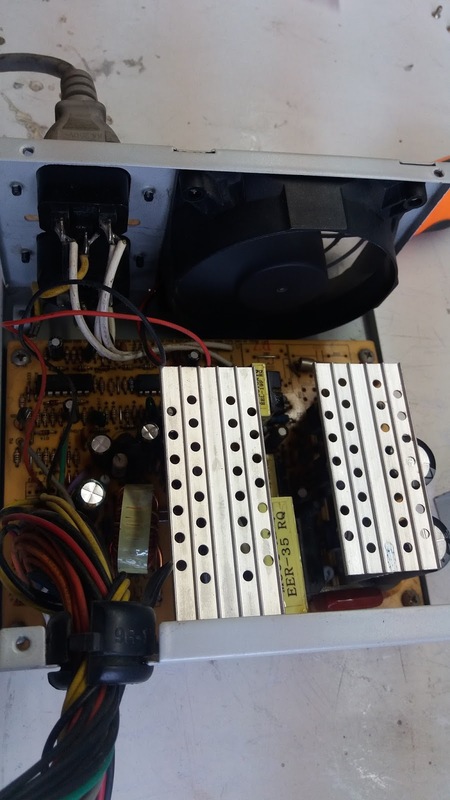 If the AVR is supplying normal voltage, next you need to check the PSU of the system unit using the Voltage Ohmmeter or multi tester. Now here you will learn how to test it and know the voltage out of the PSU. 1. HOW TO POWER ON USING GREEN WIRE AND BLACK WIRE- On the 20 or 24 pins use to connect the motherboard power connector, you will find the green wire and the black wire. This wires to connect the power switch of the computer motherboard and the black wire is the ground or GND. To power on the power supply unit without connecting in the motherboard or mobo ATX power connector, all you need is to find the green wire and the black wire. Use the paper clip or any small rounded metal and jumper the two wires. Same as you see in the image above here. 2. 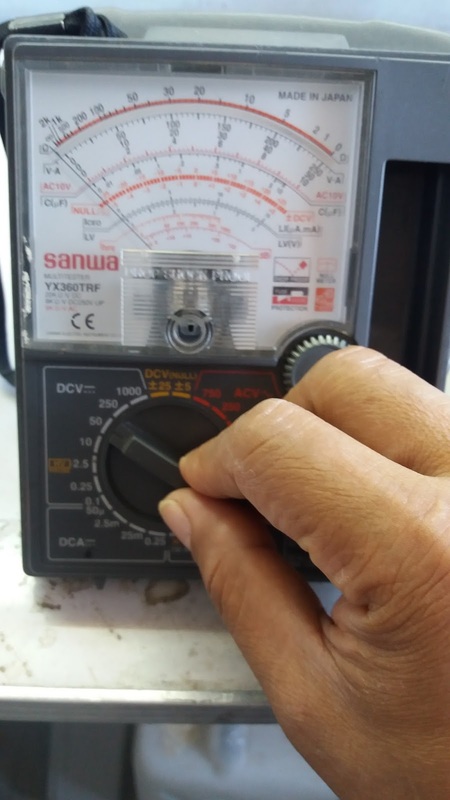 CALIBRATE TESTER BEFORE TO MEASURE, ANY VOLTAGES- This is an important procedure before to measuring any voltages to avoid damage and safety for yourself. 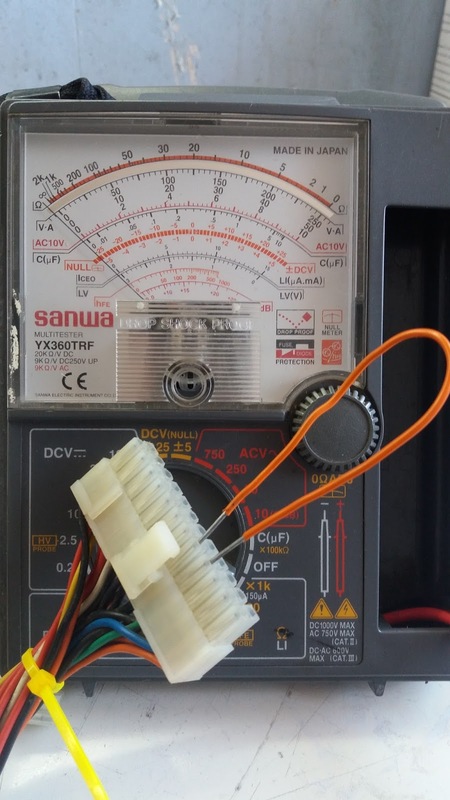 Whenever you will use the multi tester of voltage Ohmmeter, you need to calibrate your tester. Like in this post, you need to calibrate to Direct Current Voltages of DCV, same you see in the image above here. Failed to calibrate will result to not exact voltage results or damage of your multi tester. 3. 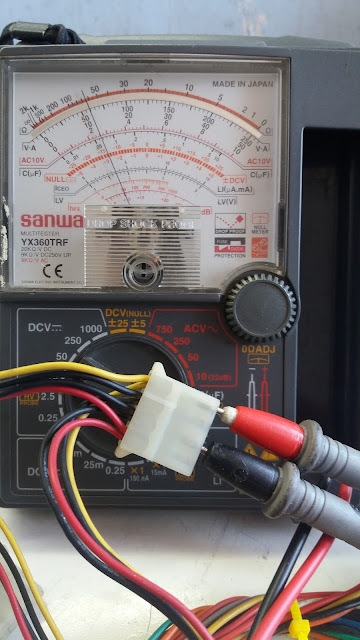 PUT MULTI TESTER TEST PROBE AT THE WIRE CONNECTIONS OF PSU- This is used to check the voltage output of the PSU using multi tester of VOM. After you follow the number instruction, next is to put the test probe of the Multi tester in the wire connections of the PSU. Same as you see in the images above here. The color red probe must be put in the positive connections. Like the yellow wire that have a standard voltage of 12 DCV. And the black probe must be put in the dark wire. If the needle or pointer of the tester point to the exact voltage like you see in the image above, the voltage is normal here. Repeat the procedure to the other wiring like the red, orange, and blue. If the voltages is correct, your PSU is normal. Correct voltages and power wattage of your power supply unit labelled on the cover of your PSU. The primary voltage output written in the image above. NOTE: Not all PSU has the same power wattage its depend in your computer how much the required power.